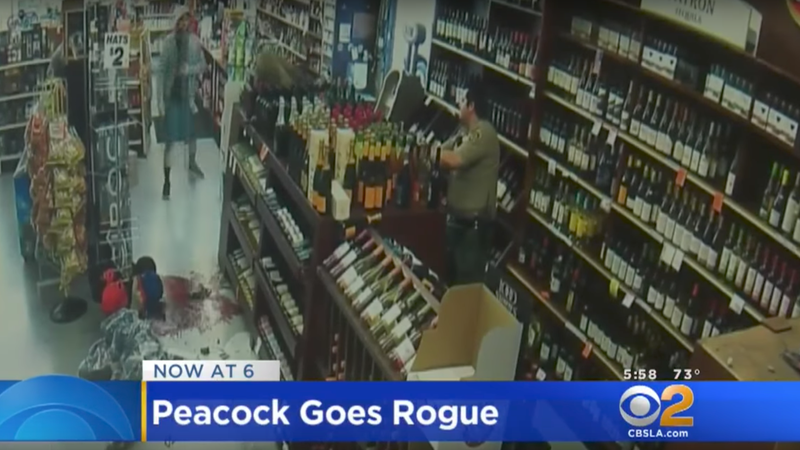 Well, I heard that you—a female peacock just looking for a little prosecco, or maybe a nice rosé—got into a little trouble down at the local liquor store this week! Five hundred dollars’ worth of broken liquor bottles! My God, what are you, a sophomore frat boy? We’re adult professionals now. Next time just go down to Trader Joe’s and get you some of that canned sparkling wine. The place is already so wild at rush-hour that there is, ironically, much less risk of landing on the nightly CBS 2 broadcast. It’s too early in the summer to go that hard.